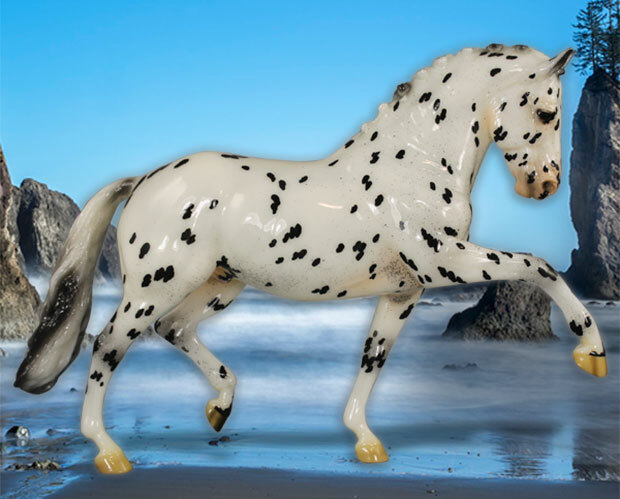 Make sure that you are logged into your Breyer Collector’s Club account and click this link to see Rialto’s page. Here is what Breyer has to say about Rialto. The third release in the 2018 series draws its inspiration from Washington’s Olympic National Park. The park covers almost a million acres, and includes coastline, mountains, and rain forests. The ocean meets the coastal forest at Rialto Beach. Views are punctuated by the incredible sea stacks, which are large rocky formations that jut out of the water near the shore. Worn down by the waves and wind, they stand silent watch over the coast. 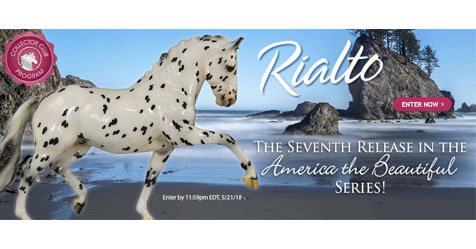 Current Collector’s Club Members may enter for the chance to purchase Rialto once per day through May 21st. Winner’s will be notified by 5pm EST on May 22nd. The price to purchase Rialto direct from Breyer is $175 plus shipping. I assume that shipping will be $17.50 but I was pleasantly surprised to find that Starlet only cost $14.50 to ship.